When it comes to pregnancy nutrition, getting all your essential vitamins is key! 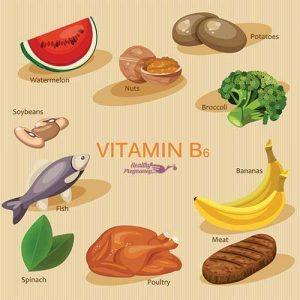 Among the many essential nutrients to consume during pregnancy, are an assortment of B vitamins. 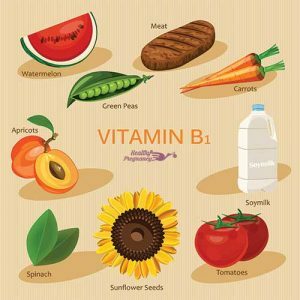 B vitamins are extremely important for you and your developing baby. 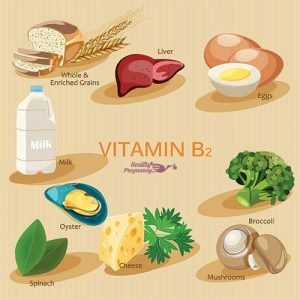 These include the vitamins B1, B2, B6 and B12, and although they are all B vitamins, they each play a unique role during pregnancy when it comes to mother and baby health. Thiamine assists you and your baby in the conversion of carbohydrates into energy. Additionally, it aids the nervous system, muscles and heart in functioning normally. With respect to your baby’s brain development, it is vital. Pregnant and breastfeeding women require 1.4 milligrams of this vitamin per day. Good sources of thiamine include fortified breads, cereals, lean pork, dried beans and peas. Riboflavin is crucial for proper eye health and it will give your skin a healthy glow. All B vitamins are water soluble, so your body will not store riboflavin. A dosage of 1.4 milligrams is appropriate for pregnant women. Whole grains, fortified foods and green leafy vegetables are great sources of this vitamin. In addition to being good for vision and healthy skin, riboflavin promotes the development and growth of your baby’s bones, muscles and nerves. It reduces the risk of developing preeclampsia. This is a pregnancy complication. The signs of riboflavin deficiency include anemia, dry and red tongue, dermatitis and skin rash. Vitamin B6 is a necessary element for the development of your baby’s brain and nervous system. It also aids in the metabolism of protein and carbohydrates. There is research that indicates that extra vitamin B6 can relieve nausea and vomiting for certain women during their pregnancy. The reason for this is not currently known. Pregnant women need 1.9 milligrams of B6 per day. Breastfeeding women need 2 milligrams per day. Excellent sources of vitamin B6 include nuts, lean meat and fish. Fortified breads and cereals are also good sources. The signs of vitamin B6 deficiency include inflammation of the tongue, sores or mouth ulcers, depression and anemia. Pregnant women should take vitamin B12 to prevent the development of birth defects such as spina bifida. Research has indicated that taking B12 along with folic acid may aid in preventing birth defects that affect the development of the spine and the central nervous system. It is recommended that pregnant women should take at least 2.5 mcg of B12 once a day with a meal. Vitamin B12 is important because it helps keep the body’s nerve and blood cells healthy. It also assists in making DNA, the genetic material in cells. 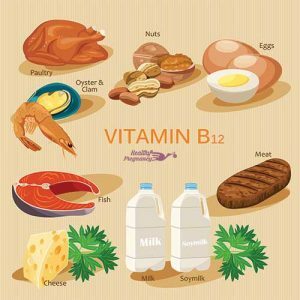 Good sources of vitamin B12 include fortified foods and animal products such as beef, liver and clams. Signs of deficiency of B12 include weakness, tiredness, light-headedness, rapid heartbeat and breathing, pale skin, sore tongue, bruising, stomach upset, weight loss, diarrhea and constipation. The whole B complex of eight vitamins is important to your strength and health as your baby develops. Although the best way to absorb these vitamins is through rich food sources, supplementation can help. Usually, prenatal vitamins contain just the right blend of these vitamins to fulfill the recommended dosages. So, there is no need to use any other vitamins other than your prenatal vitamins. Of course, you should consume a well-balanced diet in addition to taking your prenatal vitamins.